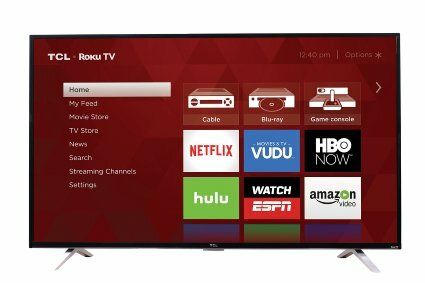 Home Others TCL launches Smart TV with a lowest price! TCL, the Chinese TV manufacturer company, has launched a new 65-inch, 4K Ultra HD LED smart TV in India. The set will be available at a special price of Rs. 79,990/-(approximately) on Amazon without burning hole in your pockets. TCL has been considered as one of the top three TV selling brands by a monthly report released by Amazon for the month of October.The other competitors of TCL are selling televisions having same specifications that will cost you around a lac rupee. It is 65-inch, 4K Ultra HD LED smart TV that supports 4K streaming, having three HDMI ports and Dual Band 802.11 2×2 Wi-Fi which provides an instant access to movies, TV shows, music, sports and news through various apps.Users can also enjoy streaming experience with popular TV shows and movie productions with Go Live, a global live HD online cloud service provider. This LED television also features an ultra-thin bezel with a chrome metallic silver finish. “We are revolutionizing the home entertainment experience with launch of our new 65″ 4K UHD Smart LED Television range for the people to discover sharper and smarter cinematic and connected experience,” Praveen Valecha, regional director of TCL India, said in a statement. This smart TV is full of amazing features that one expects in any smart television within such a reasonable range. The LED has a screen resolution of 3840×2160 pixels and a slim frame with alloy metal back adds a premium touch. The quality of picture has a high resolution display which provides a good viewing experience. The LED is powered by Cortex-A53 quad-core processor clocked at 1.5GHz. It runs Android OS, which gives us an access to a wide range of apps such as YouTube, etc and Dolby Digital Plus for surround sound. The LED comes with integrated Bluetooth for audio, 2 USB and 3 HDMI ports and a headphone jack for purpose of connectivity. The company offers 1 year, 6 months warranty along with free installation and demo.